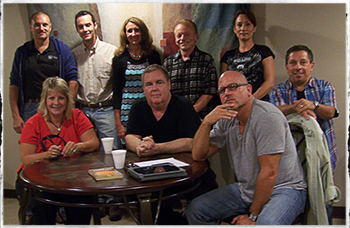 The Tetelestai book club is an opportunity for believers to engage in dialogue and discussion of ideas, questions, objections, and insights sponsored by the subject matter of the reading material under consideration and in connection with the scriptures. Along with the fellowship and edification created by the open forum, it is our sincere hope that we may cultivate a broader unity along with a more well-informed and mature understanding that will equip us for the development of true Christian living and for an effective ministry for the world. Generally, the book club meets on the last Sunday night of each month from 6:00pm - 8:00pm. Check out the calendar to see when the next meeting is, or just keep an eye on the upcoming events on the home page. There are none! You don't even have to read the book if you don't want to... just come to fellowship and have a good time with like-minded believers. Book Club Meetings are currently on hold until further notice.